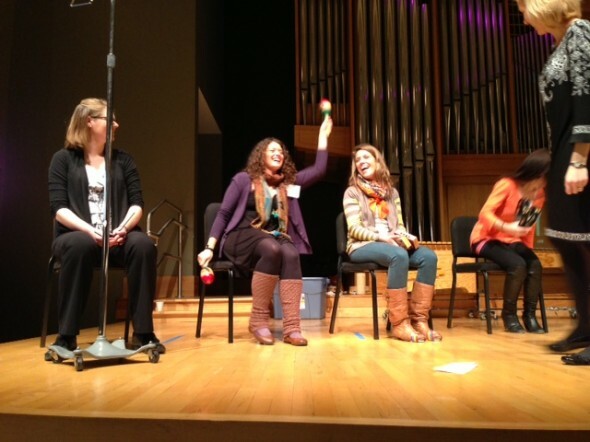 The Coast Music Therapy staff take a field trip from San Diego, California to Colorado State University for a 4-day training in Neurologic Music Therapy (NMT). Our team of board certified music therapists updated their knowledge on the latest brain-based music therapy treatment and research during this intensive 30-hour course. See pictures of NMT in action and find out more about Neurologic Music Therapy in special education settings for students with autism and other special needs. What is Neurologic Music Therapy (NMT)? Knowledge of neurological treatment approaches and research-based techniques is required in the scope of practice for all board certified music therapists (as cited by the Certification Board for Music Therapists). However, specialized training courses in NMT are available for music therapists to further their understanding in this arena. 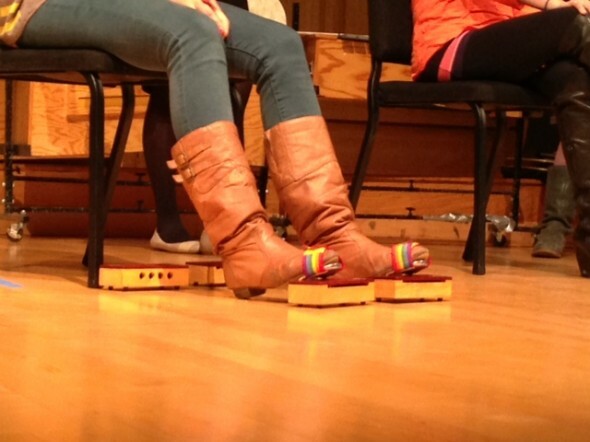 Who can Implement Neurologic Music Therapy? Music therapists are able to attend a 30-hour NMT workshop after which they are able to use the title of ‘Neurologic Music Therapist’ (NMT) for three years. Further NMT training is also available, resulting in the title of NMT ‘Fellow’. 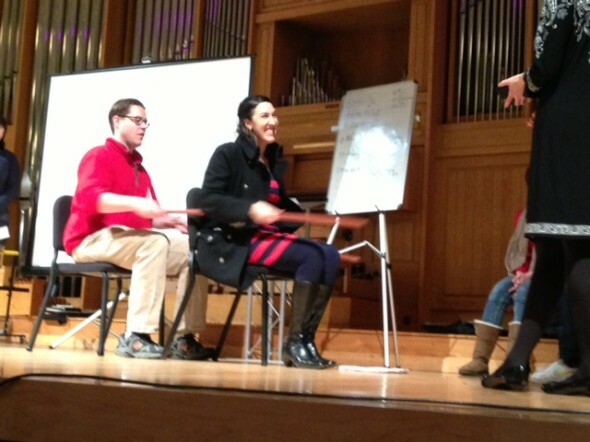 Completion of an NMT training is not required for a music therapist to employ evidence-based techniques to assist clients in areas such as communication, cognition, and motor functioning. Some NMT interventions such as Melodic Intonation Therapy, Rhythmic Auditory Stimulation, and Musical Mnemonics Training are effectively employed by professionals without NMT certification such as speech-language pathologists, physical therapists, and educators. Neurologic Music Therapy draws its foundational theories from the fields such as neuroscience, rehabilitation, psychology, and music perception. The Academy of Neurologic Music Therapy cites studies conducted by doctors, physical therapists, neurologists, speech-language pathologists, psychologists, and music therapists to support the efficacy of NMT. Because NMT is a science-based approach to music therapy, the same body of research that supports NMT also supports evidence-based techniques used widely by music therapists. 1. Research supports the use of musical stimuli as a mnemonic device or memory template to facilitate learning of nonmusical information. This application can be extended to learning of academic facts, personal information, communication scripts, task analyses, and Social Stories™. 2. Research supports shared processes between speech and singing although music activates neurologic response in a different way. Thus, melodic and rhythmic formatting of speech/language targets can provide a compensatory strategy and timing cue for speech acquisition. 3. Research supports the use of music to affect mood and physiological functioning, which in turn can affect motivation, memory, and emotional well being. 4. Research supports the use of rhythmic cuing and musical patterns to assist in functional movement such as gait, range of motion, endurance, and strength. A distinct component of NMT is the use of terminology in order to describe the evidence-based techniques utilized. Some techniques identified within NMT have more specific protocols (such as Melodic Intonation Therapy), while others are more broad (such as Developmental Speech and Language Training Through Music or Therapeutic Singing). Although NMT defines and categorizes a wealth of music therapy techniques, many of these same techniques are already utilized regularly by music therapists, but may not be referred to using the exact NMT terminology. 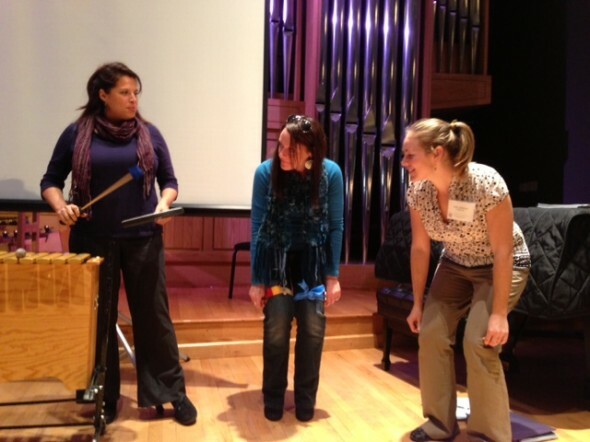 How is Treatment Planning Approached in Neurologic Music Therapy? 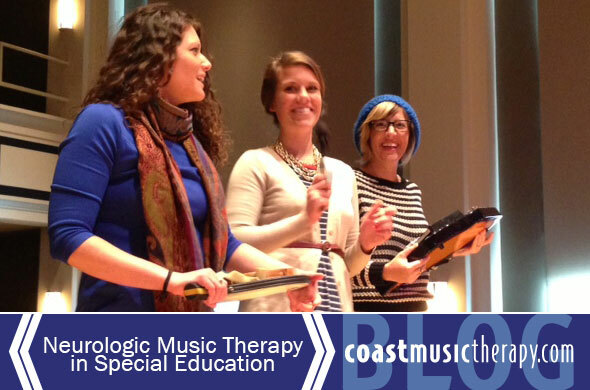 How Does Neurologic Music Therapy Apply to the Special Education Setting? While music therapy can be considered as a related service within a student’s Individualized Education Program (OSERS/ US Dept of Ed 2000, 2010), Neurologic Music Therapy is not referenced specifically within special education law. Therefore, while a music therapist may implement NMT techniques to address IEP goals, NMT would not be specifically listed as a related service on an IEP. Similar to the wide range of techniques and training available to occupational therapists and speech-language pathologists, music therapists must also select their specific interventions based on what will achieve the most functional and relevant educational outcomes, what can be implemented in the least restrictive environment, and what will lead to the greatest chances for generalization across settings. It is imperative that the music therapist collaborate with other related service providers who have conducted assessments, such as the speech therapist, occupational therapist, physical therapist, and school psychologist. If for example, the physical therapist and IEP team do not find a goal for ascending and descending stairs to be relevant to the student’s educational program, than this would not be an appropriate target area for music therapy as a related service.